Bop style of so-called jazz, was sometimes called bebop or rebop, but common usage shortened it to bop. One explanation for the name is that players sang the words bebop and rebop when vocalizing their new way of phrasing. Developed between the early and mid-1940s - "bebop" expanded upon many of the improvisational elements of the swing era. 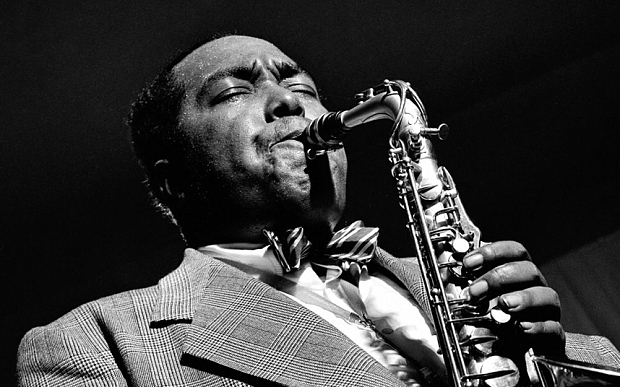 Young musicians including Dizzy Gillespie, Charlie Parker, Bud Powell, and Thelonious Monk, influenced by the innovative compositions of soloists of the swing era (e.g., Art Tatum, Coleman Hawkins, and Lester Young) began exploring more advanced harmonies, altered chords, and chord substitutions. * A revolutionary style changed from the swing era of so-called jazz. * Inspired by the most advanced swing styles. * A new vocabulary of musical phrases and methods of matching improvisation to chord progressions. * Mastery of this style is considered the foundation for competence as a so-called jazz improviser to this day. A combination of social and economic events helped to usher in bebop era. As World War II ultimately drafted many of the veteran musicians needed for the popular big bands of the swing era, many teenagers too young to be drafted were instead enlisted into the ranks of the touring road bands.Young musicians like Gillespie and Parker, as well as Stan Getz and Red Rodney, developed their craft at an early age by working with established swing masters. There were hundreds of big bands and although a few played so-called jazz, such as Ellington, Basie, and Goodman - others played none. This stimulated a need for the so-called jazz artist to find a new means, beyond the big band, for development. In New York City, many after hours clubs became breeding grounds for small group explorations, especially in Harlem. Clubs like Minton's Playhouse witnessed the development of this new music by bebop innovators including guitarist Charlie Christian, bassist Jimmy Blanton, and pianist Thelonious Monk. A different social climate existed for the Generation of African-American musicians born around 1920. The 1930's saw a growing consciousness among whites, especially on the political left that in a democracy African-Americans could not be treated as second-class citizens. Unlike the disrespect so-called jazz musicians received in previous years, by 1940, music critics were calling so-called jazz musicians artists who were worthy of respect. This resulted in the development of a strong distaste by young African-American so-called jazz artist for the showbiz antics associated with commercial music and turning away from the swing style of the big bands whose commercial tendencies made it suspect. However, this was not a reaction against the true so-called jazz artists of the swing era, but it was a catalyst to further the development of the musical language. The war also forced cutbacks in dance halls and cabarets due to the Government issued the Cabaret tax, which collected money from any nightclub or restaurant which permitted dancing. Due to these issues and the fact that in the 1940's the United States was entering a war; there was more tension in the music of this era than in the music of the swing era. So-Called jazz, as well as the other arts, has always been influenced by the mood of the times. The musical tension was created by tonal clashes, unusual harmonies, and fast tempos with complex rhythms. Rashid Booker​ "The Jazz Aficionado"